Europe's Schiaparelli lander did not behave as expected as it headed down to the surface of Mars on Wednesday as it appeared its rockets fired for too short a time to bring itself to a standstill. 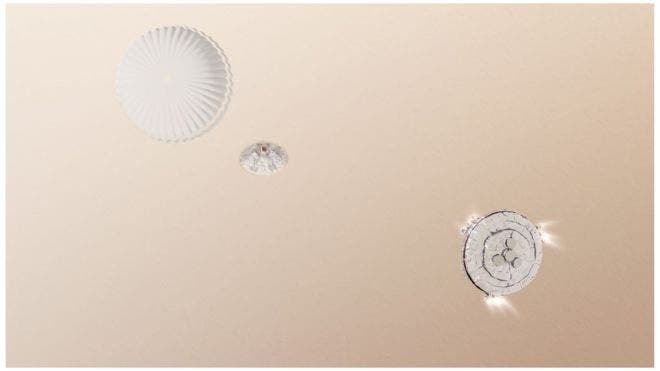 Telemetry data recovered from the probe during its descent indicates that its parachute was jettisoned too early. 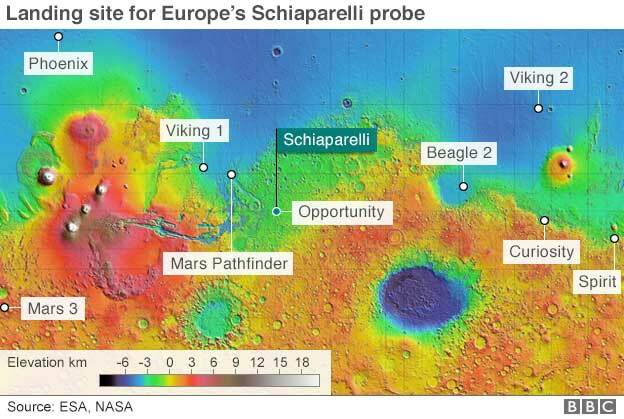 The European Space Agency (Esa) has not yet conceded that the lander crashed but will continue to analyze the data and may also try to call out to Schiaparelli with the hope that it is actually landed intact. In addition, NASA will Mars' satellites to image the targeted landing zone to see if they can detect any hardware. "We cannot resolve yet under which, let's say, logic that the machine has decided to eject the parachute. But this is definitely far too early compared to our expectations," Andrea Accomazzo, the head of operations for ESA's planetary missions, told BBC News. Many scientists at ESA mission control have taken all this information to mean one thing – that the probe crashed at high speed. It is likely it went into freefall a kilometre or two above the surface. Officially, though, ESA experts say they cannot at this stage fully interpret what happened until a velocity profile for the probe is properly reconstructed. First Stars Younger Than Thought –"May Impact Understanding Dark Components of the Universe"